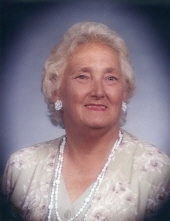 Joyce Pruett 84, of Eatonton passed away on Monday, January 14, 2019. Joyce was born on February 24, 1934 in Macon, GA to the late Henry Willard Taylor and Addie Lucille Green Taylor. Joyce was preceded in death by her parents and her beloved son Carl E. Watson and 11 siblings. She was a member of Mt. Ararat and Mt. Pleasant Baptist Church. Joyce worked as a seamstress and made custom made drapes, she sang in the Gospel group The Pleasants Aires, played the piano at Mt. Ararat and enjoyed singing and listening to music. in Macon at 1 PM with a service at 2 PM the burial will follow. Joyce is survived by her daughter Debra Harmon (Jimmy), brother Ronnie Taylor (Bonnie) of Lizella, grandchildren Deonne Harmon of Eatonton, Kelly Harmon (Neeley) of Rutledge, great grandchildren Micheal Coker III, Paisley, Anney and Emmey Harmon and numerous loved nieces and nephews. The family has requested donations may be made to the Methodist Children’s Home in her memory. To send flowers or a remembrance gift to the family of Joyce Pruett, please visit our Tribute Store. "Email Address" would like to share the life celebration of Joyce Pruett. Click on the "link" to go to share a favorite memory or leave a condolence message for the family.